The new OS 1.3 now ships with newly purchased instruments, and is of course also available for download from the company’s website for users wishing to upgrade instruments equipped with older versions of the OS. 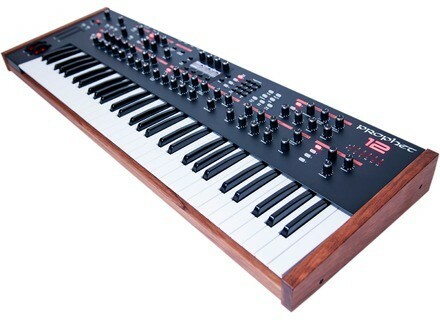 The upgrade is compatible with both the keyboard and the desktop version of the Prophet 12. The Prophet 12 has a MAP of $2,999. More details available from www.davesmithinstruments.com. Groove Monkee updates new MIDI packs for Beatbuddy Groove Monkee has updated two of its MIDI drum loops packs to include the BeatBuddy PBF format. Groove Monkee updates Country MIDI Drum bank Groove Monkee has updated its Country MIDI Drum Loops pack, adding BeatBuddy compatibility with the inclusion of a PBF file. Arpeggio to get SD card slot Tangible Instruments has listened to requests from its backers and decided to equip their Arpeggio device with an SD card slot.